Deliciously Savvy received product and/or compensation in exchange for an honest and unbiased review and all opinions are 100% my own. Regardless, I only review products that I am interested in for myself and my family and of course for sharing those reviews with my savvy readers. Thanks for stopping by and enjoy! I love a well decorated home to make it feel amazing and cozy. For me that is truly what makes a “home a home” and with the holidays quickly approaching I am looking to add that special touch and spruce up some of the rooms in my home without breaking the bank. 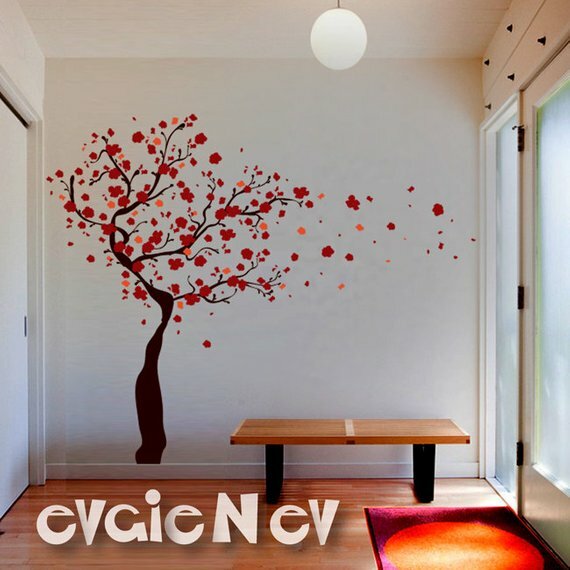 This is the reason that I am in love with the many wall decals available at the evgieNev Etsy shop. 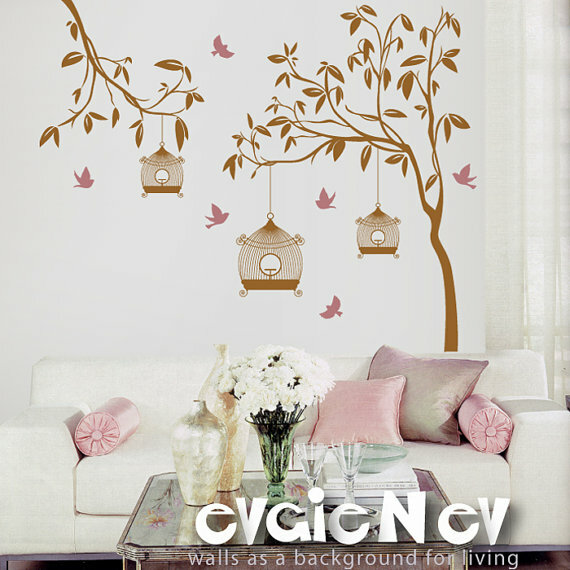 They have such an amazing, cool selection of professionally designed removable wall decals that will work in so many rooms throughout your home. Whether you are renting or you are a homeowner…. 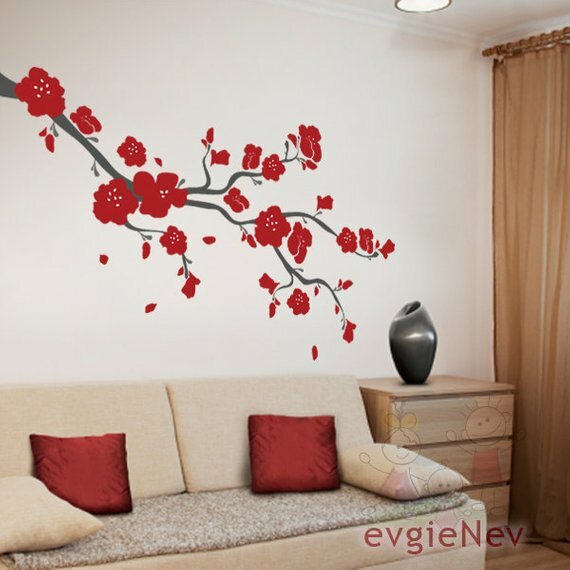 evgieNev wall decals are the solution to dull and boring wall decor. This is the design I chose. I love the simplicity and it is so very versatile. I wanted to find something to spruce up a wall in my family room as it is the most used room in my home other than the kitchen, and it is the room where all of my family and friends will be hanging out this holiday season when we get together. I absolutely fell in love with the design above and knew that it would be the perfect choice for my family room as it adds the perfect design to the room and goes with the lodge theme I have created with the furnishings and fabrics. 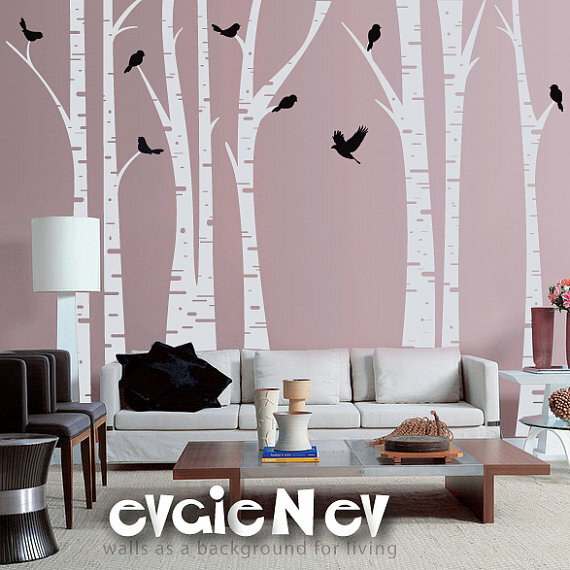 I am going to paint the wall that this decal will be going on the perfect complimenting color to create the perfect feature wall. It will be the perfect décor addition to create a gorgeous focal point that adds to the rooms warmth and design overall. The decals themselves come with super easy to follow directions that make adding them to your wall a breeze plus every order comes with a free test decal so that you can get comfortable with the process before getting started. 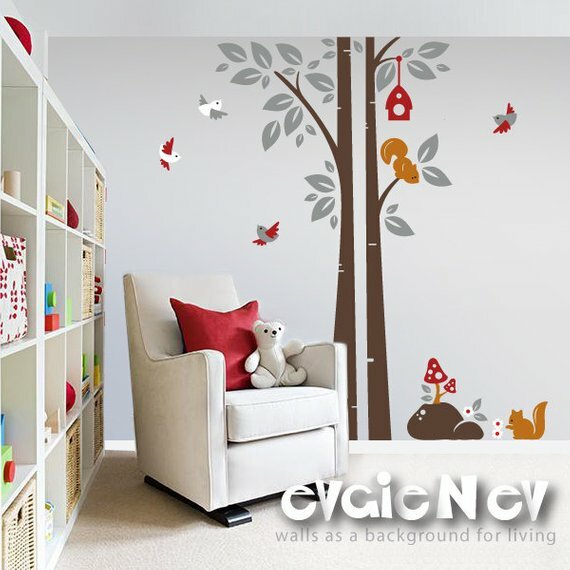 You may be looking to decorate a new nursery or updates your child’s bedroom or even decorate your children’s playroom and give it that unique, personalized touch that makes it the coolest room to hang out in. 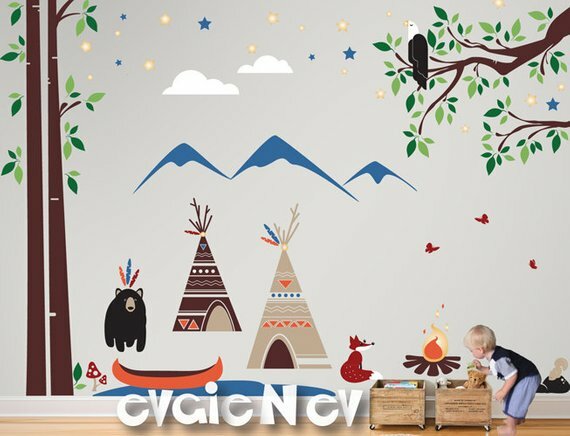 This is where evgieNev comes in as they have an amazing assortment of wall decals that will turn your child’s nursery, bedroom or playroom into the room of their dreams. 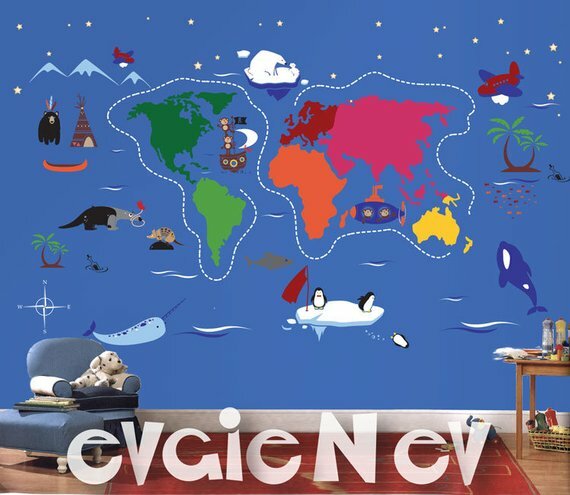 Whether your kid loves all things Outer Space, The Jungle, The Ocean, Farm Animals, Nature and more….. there is a decal for every kids personality and style at evgieNev. Check out some of my favorites…..
Are those not the most adorable designs? I just love them and there are so many more to check out at evgieNev. I also love the growth chart designs that they carry as they make a fabulous gift item & they have some really cool ones like the one below… which is not only fun and colorful but educational! Check out my favorite new design (I can envision it in my kids playroom)….. It is truly adorable. 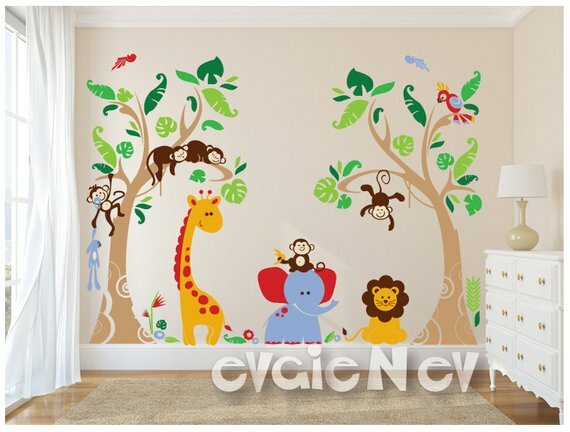 So whether you are looking to spruce up your living space with some cool removable wall decals that will make you the talk of your friends and family or whether you want to decorate your new nursery or child’s bedroom and/or playroom… evgieNev is the perfect choice. They even have seasonal decals and decals for your windows too. This is a fabulous gift option as well for so many on your list so make sure you check out the evgieNev Etsy Shop today! You can always request a custom order to ensure it the perfect fit for you too and rest assured that you will always receive great service and product at an amazing price. Use Code 10OFF at checkout to receive 10% Off Your Order! This is so cool looking. I need to get one for my bedroom. I love all the different designs of these decals! So much to choose from and something from everyone! Looks like an easy way to make a big impact on a room. Oh’ I just love this especially for nursery’s and toddlers rooms. The best thing is that they are completely removable. Win-Win!!! I would change the paint color on the wall to create an entirely different feel to the room. 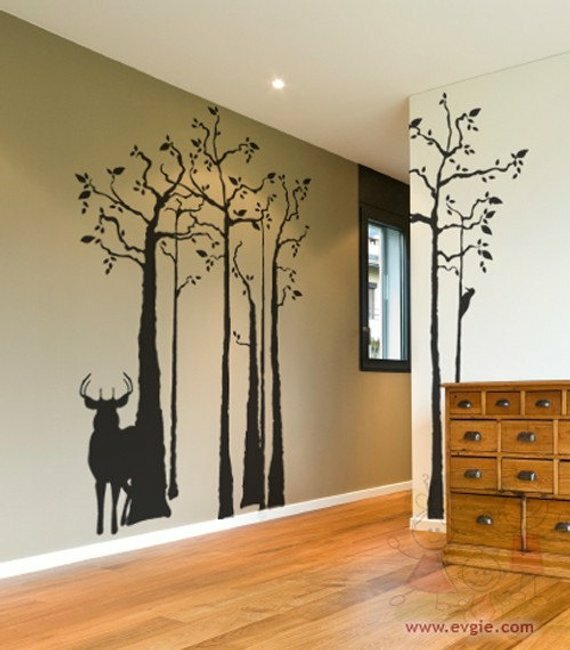 Love these decals….. artwork for sure! Oh my goodness, I love these! The white tree is especially attractive, because we have a lot of dark wood paneling in our house. My favorite is the “Family Tree” I just love this idea!! Thank you for this post. We are currently remodeling our house so I will definitely check these out. These really change up a room, with the hassle of painting. What a difference! I am SO sick of my plain beige wells, it’s time for me to check out evgienev decals for sure! Thanks for the info!! I love these so much!! I need to look at some of these for baby #3’s nursery! We haven’t even started decorating in there…. I think these would be awesome for it though! Love the woodland ones! I like the idea of them being removable, you can change it as much as you like. Those decals are super looking. A very original way to create a statement wall, that’s for sure. 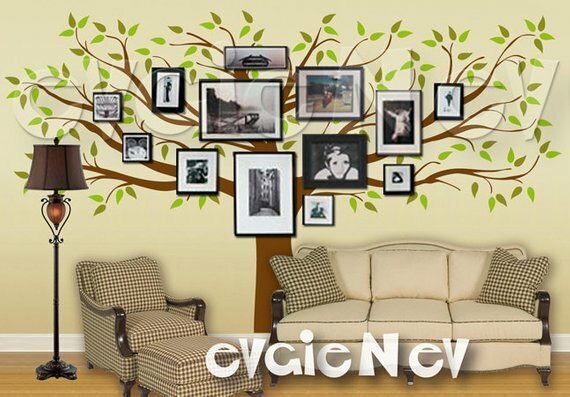 I have used wall decals to personalize walls in my home. In one home, we had an under the sea theme in the guest bathroom. In our current home, we have trees and flowers. 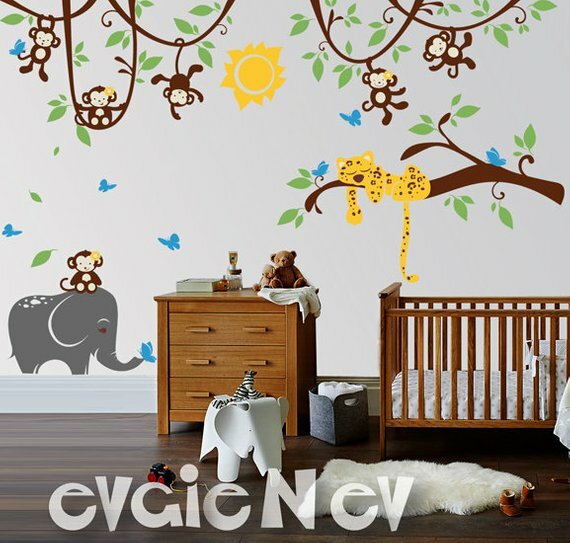 These decals are so great, a child’s room will never get boring! these walls are so unique, I need to do something on my boring walls. 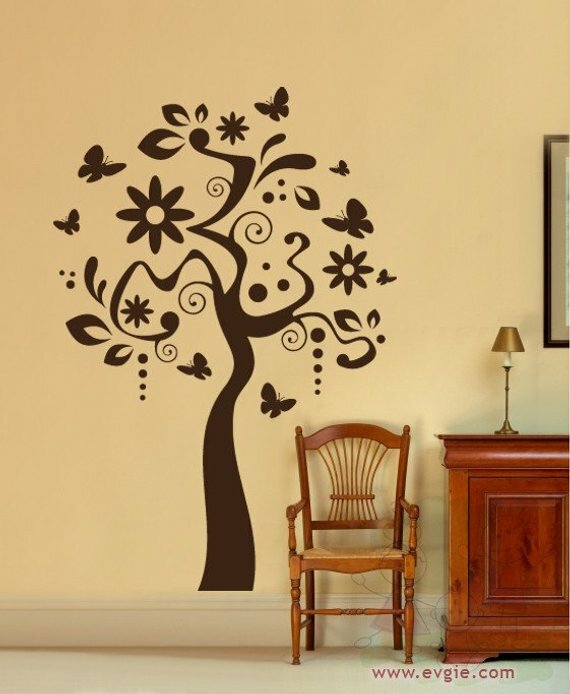 What an amazing way to decorate your walls! I love the family tree. I think it would be so cool to put up pictures of my family on the tree. This would be an awesome way to really change a room. Love the idea! These are so fun and unique. I really like so many of h them. I would love to try doing this. I like the colors. I really like the big family tree with places to hang photos. That would be great in any living room or family room. Wow! There are so many beautiful designs. They would add a great touch to home. My daughter wants to decorate her bedroom with the family tree. Thank you. All of these decals look great but I especially love the one with the birds.